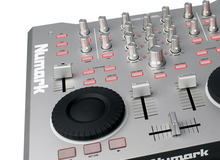 USB controllers are computer peripherals that allow us to handle a DJ or music production software without the need of having to touch the keyboard or mouse. These software programs are more and more sophisticated and comprehensive every day, and USB controllers are conceived to keep up with this evolution. Find out how to choose the one that fits your needs best. 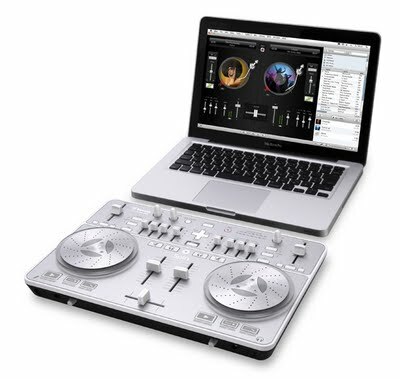 USB controllers can be used to playback and mix songs as do DJs with vinyl turntables or CD decks, while incorporating specific features (the use of CUE points, the option to create loops on the fly and to slow down or speed up a song...). Generally speaking, these all-in-one controllers include jog wheels to move within a song or to do some scratching, faders to adjust the volume of the channels, as well as buttons and knobs to control other parameters (like effects). They work with mixing software like Virtual DJ, Traktor and even Cross (which is the case of the Hercules DJ Control AIR+). There are other MIDI controllers that are better suited for music production or "live" performances. They don't have jog wheels, usually have more buttons and/or pots than DJ controllers, and in some cases they integrate a synthesizer keyboard. They allow us to control software programs such as Ableton Live or Fruity Loops/FL Studio. For example: Akai APC40. Finally, there's another category of controllers intended for a more intensive use of the buttons, while guaranteeing a very simple and refined use. They can trigger a single note of an instrument and in repetition (which is called "finger drumming"). For example: Midi Fighter Spectra. So, first of all you should know what you want to do with your controller. You might have some constraints that will affect your choice of controller. For example, if you do weddings and you are a mobile DJ you should go for a compact, light and easy-to-transport controller. Or if you plan to perform outdoors, look for a controller that is rugged enough and water-resistant... Keep in mind these constraints. The amount of money you can spend will be a decisive criterion in terms of quality and features. You can buy a new one if you want some sort of warranty or you might want to look at used gear, which may allow you to get your hands on more high-end equipment.